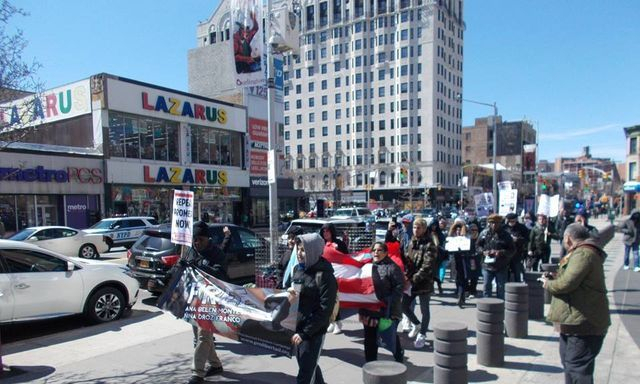 Photos of the 3/23 Freedom March in Harlem! 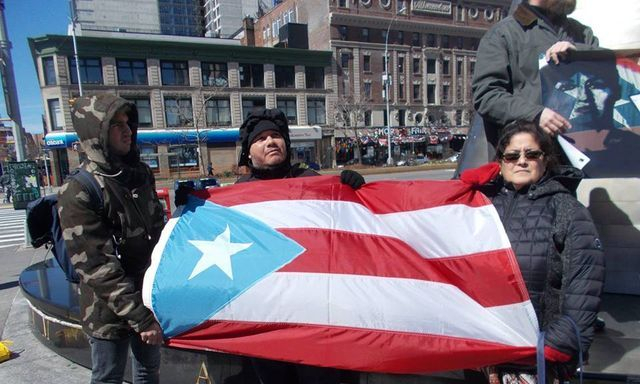 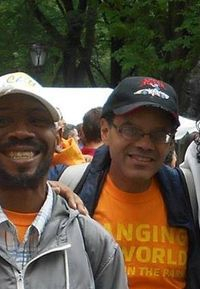 Ismael Nuñez, on the right, is a long time ProLibertad member, photojournalist, and Independentista from El Barrio, New York. 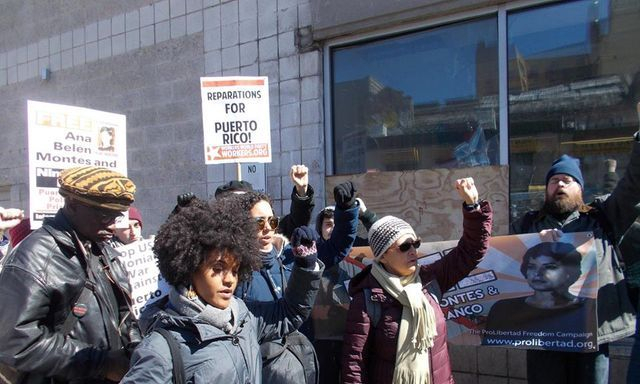 Photos of the Harlem/El Barrio Women's History Month Freedom March! 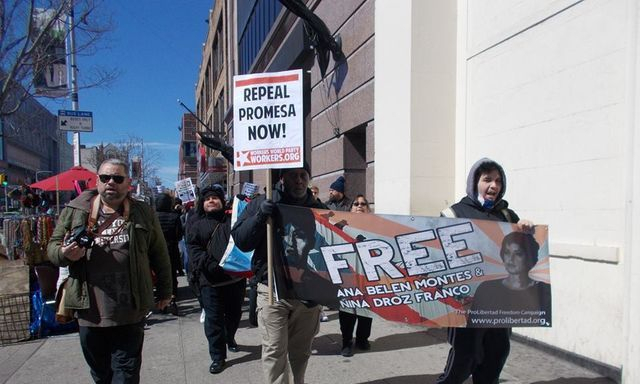 These photographs were provided by Ismael Nuñez, El Barrio Community photojournalist and ProLibertad staff photographer/photojournalist! 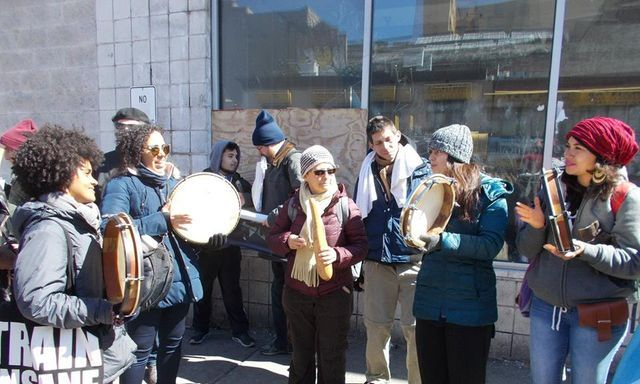 Special Thanks for the sisters of Plena Combativa for bringing amazing militant,powerful, and beautiful plenas to the march. 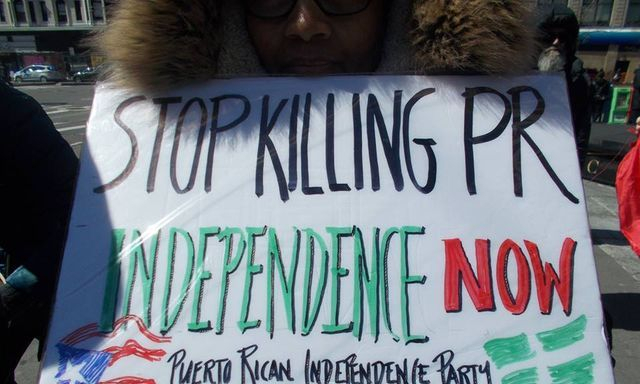 Mil Gracias/Many thanks to the Frente Independentista Boricua and the International Action Center for participating. 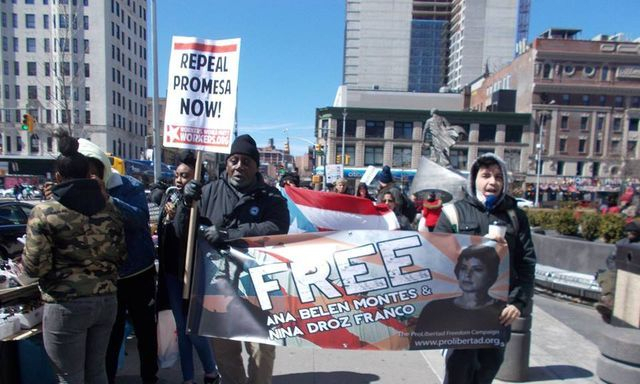 Many thanks to all who came out and supported our work to Free Ana Belen Montes and Nina Droz Franco!